Mother’s day 2019 in the UK is on Sunday, the 31st of March and it is fast approaching. As a mother and a food lover, I thought you would enjoy reading my ideal gift guide for food lovers. The key to a great gift, in my opinion, is giving something based on what the recipient likes. That’s why I’ve broken down my mother’s day 2019 gift guide into categories based on the things I like. Who knows, the 30-something-year-old mother in your life just might like one of them. This is part one of my two posts for Mother’s Day 2019 and it is my ideal gift guide for food lovers. The best foodies, in my opinion, are those who appreciate that food is not just for sustenance but is meant to be enjoyed. The best way to enjoy food is not by slathering it with lots of condiment but being able to enjoy the individual tastes and flavours. I’m not a vegetarian, meat makes me VERY VERY happy! I love goat meat, however, in the UK, you cannot find real goat meat to buy. The butchers that ‘claim’ to sell goat meat actually pawn off mutton as goat, at least the south London market butchers that I’ve been to. If you wanted to make me happy, really happy, ask Uber to offer intercontinental same day or next day fresh food delivery and get me a slab of freshly butchered Nigerian Dwarf Goat. They are as delicious to eat as they are cute to look at. HOWEVER, never ever buy a male goat unless it is castrated. He-goats that have not been castrated smell so much that you can taste their smell in the meat. I would so love some fried pepper goat meat right now with soaked garri (cassava flakes, I think some countries call cassava manioc). That there is the ultimate comfort food. It’s the equivalent to eating southern fried chicken with a bottle of coca-cola but this is so much more delicious and healthier. Goat meat is so delish and that’s why you can even buy deep-fried goat meat on Amazon but NOT the Nigerian Dwarf Goat. I think these would make a good substitute for mother’s day 2019. What do you think? As a meat lover, I’ve heard that Charolais beef is one of, if not THE, best beef in the world. It’s been on my to-eat list for a while now. I always fantasised that I would go to Charolais with another meat lover and actually eat it there. It’s not yet happened, so please affordable inter-country same day delivery really needs to be a thing. Going by the picture alone, I would be very eager to cook this piece of meat. I think it would go very well in a Nigerian dish, maybe egusi soup with pounded yam or even yam porridge. It looks like a slab (do you say slab? it’s 3am and my brain has slowed down) of very sturdy meat. I’m surprised to say that I could not find a single seller of Charolais beef on Amazon. I didn’t think there was anything on this planet you could not buy on Amazon but there you go. Now you have the challenge to find a seller of Charolais beef. When you do find one, please share the link in a comment below. It’s 3am and I’m rounding off this blog post. I have an uncle who is a really lovely and supportive and not long after I got my first proper post-grad job, I asked him to pick any restaurant in London he wanted to go to and I would foot the bill. It was my way of showing him that I appreciated him always having my back. Whenever I felt that my dad was not listening, I would call this uncle and say “you better go call your brother now”. The restaurant he chose was closed, so we walked around for a bit and ended up in a Gordon Ramsay restaurant. One of the waiters asked if I would like to see their Wagyu beef and not knowing any better, I said, sure why not?! After his little presentation, about how their own Wagyu beef was breed somewhere in England and was as good as the one in Japan, he asked if I wanted a steak for £99 per kilo. I’m sorry what? 99 freaking what? 99 kobo (Nigerian currency)? I’m not ashamed to say that I’m a £3.99 per kilo of beef at Brixton market kinda girl. I may push it to £4.99 a kilo but that’s my limit. Anything more than that and I would buy chicken. I admit that pictures of Wagyu beef show that it has excellent marbling but to be honest, I doubt that this Wagyu beef is more delicious than the Nigerian White Fulani beef. The only way I would know for sure if by actually trying it but I’m too cheap to buy it myself. If someone ever bought me 1kg of Wagyu beef, I would cook it the Nigerian way. I would boil it for a few minutes with onions, fresh pepper from my garden, ginger, garlic and a dash of medium curry powder then pop it in the oven to make it crisp. That would help me identify the taste and help me decide on the best cooking method. I would go for the bony side though, so maybe the ribs. I HATE boneless meat. That said, I am actually afraid to try to cook this type of beef. From what I’ve read about the breeding method, I feel that these cattle are very tender whereas I prefer sturdier cattle with more strength in the meat if that makes sense. Maybe I should let someone else do the cooking. Instead of constantly doing all the cooking, a relaxing treat by Gordon Ramsay sounds like heaven. I think most mums would like this, not just me. If you want to book this treat for my daughter and me, it did say dinner for 2, a mother you know, click here to do so. This picture speaks to my inner nerd. I would want this experience just to go into the capsule. It looks like the modern version of a TARDIS. If you do not know what a TARDIS is, please Google it! And I think the price is very reasonable too. “Be the first to experience one of London’s most desirable and unique dining spaces – Street Lounge at Bread Street Kitchen. OK I’m going to bed now, leave a comment below, so I know what you think of this gift guide for food lovers. Who’s the food lover in your life? What will you be getting her for mother’s day 2019? I thought it would be nice to add another treat if you are not able to take your mum out for mother’s day. 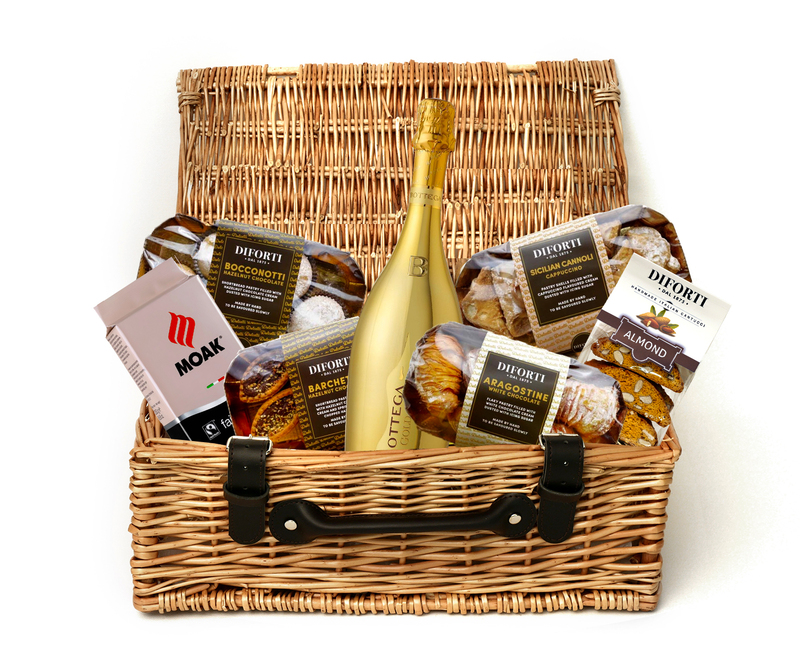 All packed with love, in a gorgeous wicker hamper. Click here to order yours now! Did you know about World Suicide Prevention Day? This entry was posted in Segilola's Corner and tagged food blog, food bloggers, gift ideas for food lovers, mothers day for foodies. Bookmark the permalink. Yayyy to meat lovers. I find that if you even try to comment on a Food Network post, the vegetarian brigade go off on all that’s wrong about meat. I respect everyone’s views on what to eat but I’m not ashamed to say that I love meat. If you go to Brixton market, Peckham market or even East Street market, you will see some slab of meat being peddled as goat meat. For my goat meat loving taste buds, it doesn’t taste like goat meat and that’s why I don’t buy it. This was so useful! I will be cooking dinner for my mum on Mother’s Day and I really love how different these recipes are, I will look into these for sure 🙂 great post! I love goat meat. It’s pretty good. I’m in the US so it’s not too hard to get most foods. I’ll have to try this! Arianne Peters recently posted…Baby Fashion Without Breaking the Bank. I’ve had Japanese Wagyu before and it’s sooo good! It literally melts in your mouth! I do have to say that I’m surprised you can’t get goat meat like that. It’s very easy to find here in the US. awwww how did you have your Wagyu?